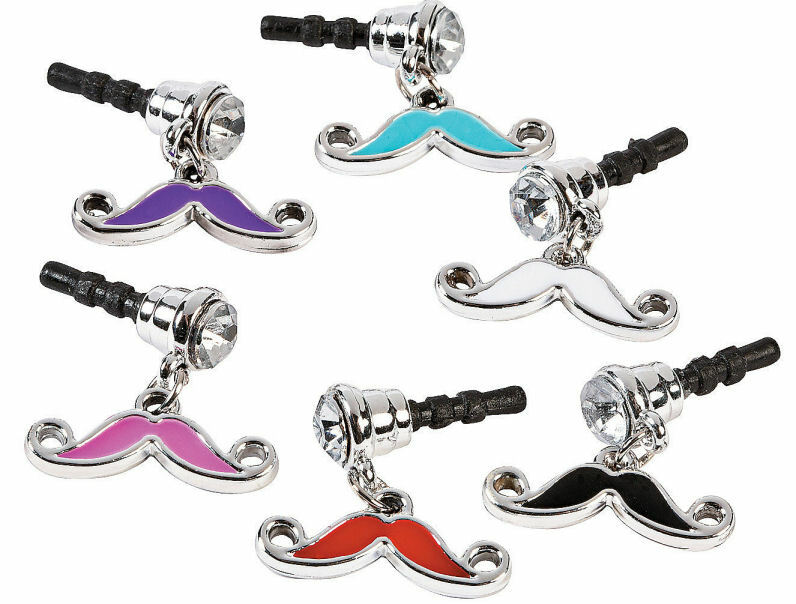 12 mustache phone charms in assorted colors. 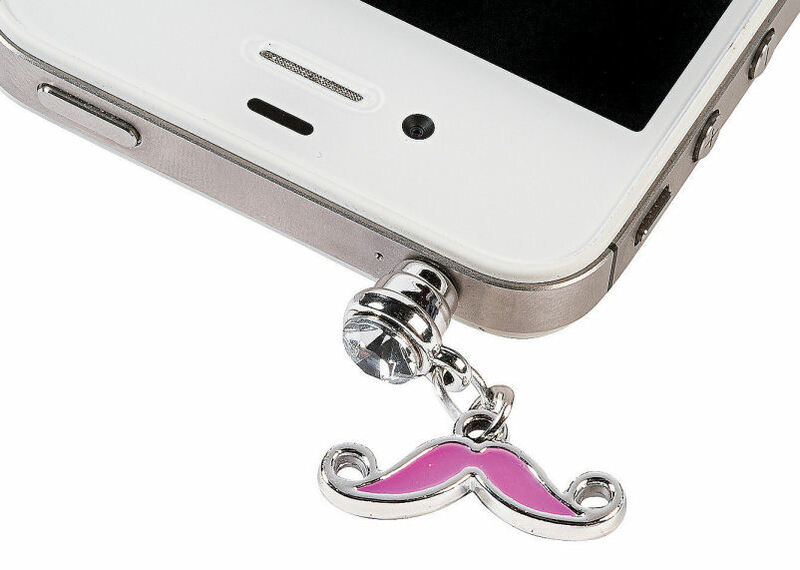 Add a little bling to your phone while keeping dust/debris out of your headphone jack. It plugs directly into your headphone jack and keeps the area free of dust and debris. Fits standard headphone jacks on most mobile/smart phones, music players, tablets and other portable devices including iPhones, iPads, iPods, Galaxy phones and more. 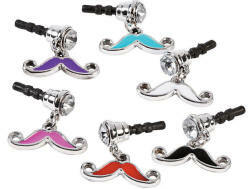 Each mustache measures about an inch across. Bulk packed - no retail packaging. This is for 12 plastic mustache phone charms in assorted colors - phone is NOT included.